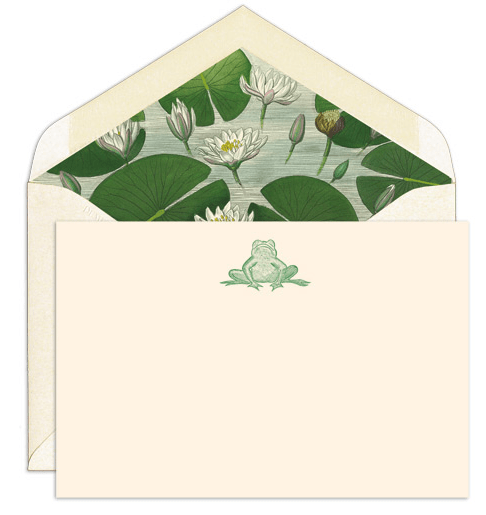 Who doesn’t love to receive beautiful stationary in the mail? The thank you notes above were “doctored up” to be more like the lovely cards below. 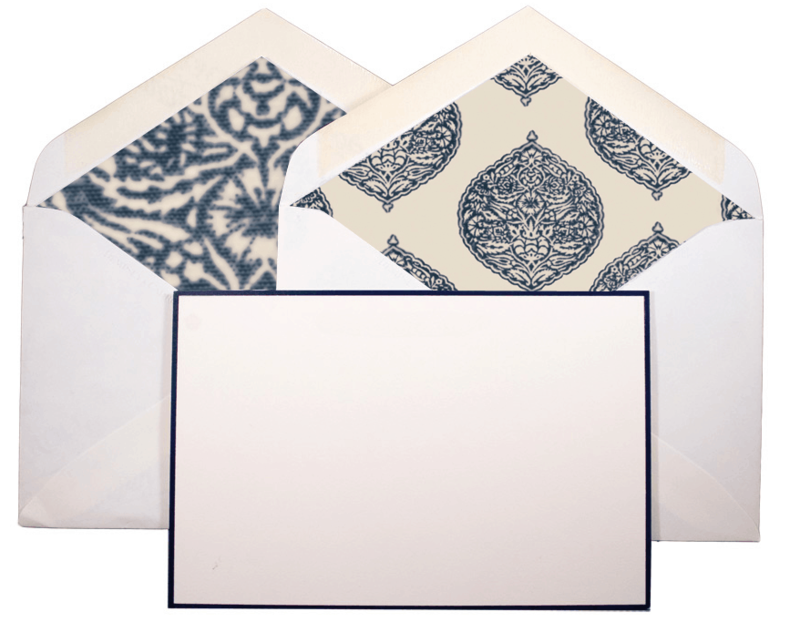 These lined envelopes are by John Derian on left and Madeline Weinrib on the right. They can be purchased at Dempsey and Carroll for $60 for a set of 10 cards. You can also line envelopes as Laura did for the Wedding Shower we gave. We had the invitations professionally printed to coordinate with our shower décor. The paper liner was purchased at Paper Source. 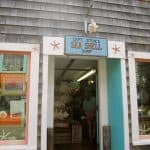 It’s a really fun store for paper products. 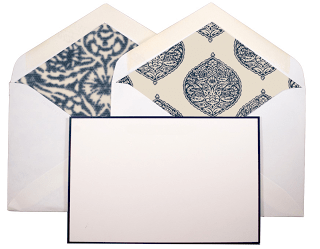 You start with a template made from an inexpensive laminate placemat or advertisement. 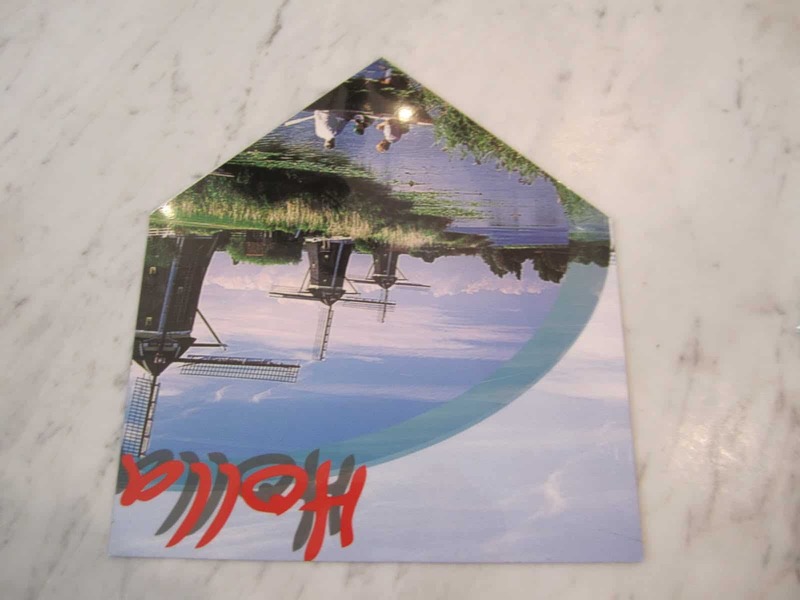 Cut the template to be smaller than the envelope. 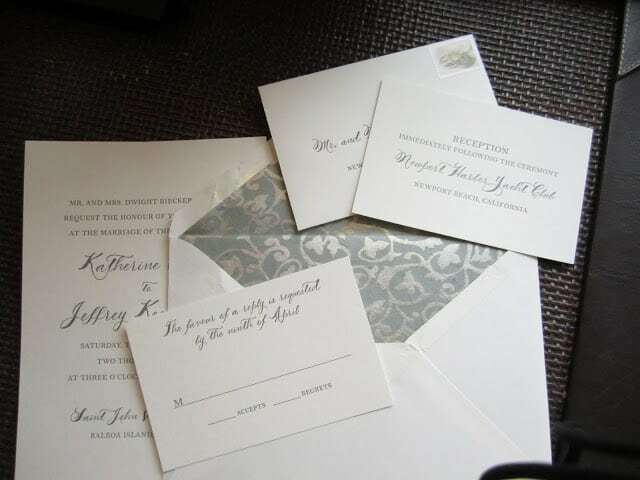 Then, cut your paper (I would really recommend a paper cutter if you have a big job) and glue the top edges. (so exacting) to do so many. (I wrapped the box, too in case I give them as a little gift). The paper on the right was from a leftover wrapping roll. Look at this darling photo envelope liner created by Paiges of Style. Paige explains how she did it here. These aren’t bad for $6 for set of 10 either! 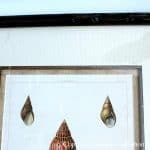 Antique Prints: When to Buy Real or Reproduced? What a great idea Mary Ann! 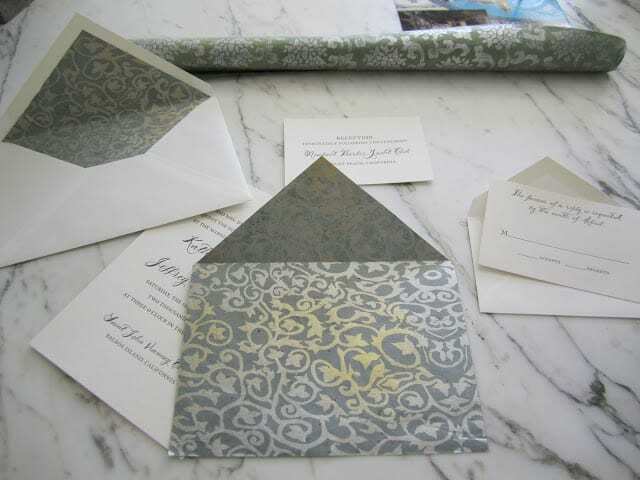 We lined my daughter's wedding invitations (also from The Paper Source) and it was very easy and fun – we even had her fiance (now husband) helping 😉 I love your idea to take inexpensive cards and embellish them – you did a great job! Nice post. They look so pretty. What a really good idea. If I get the time I will have a go at making some. Oh these are so wonderful! What an amazing difference a little color and pattern can do =) The one with the frog and the pond is so much fun! 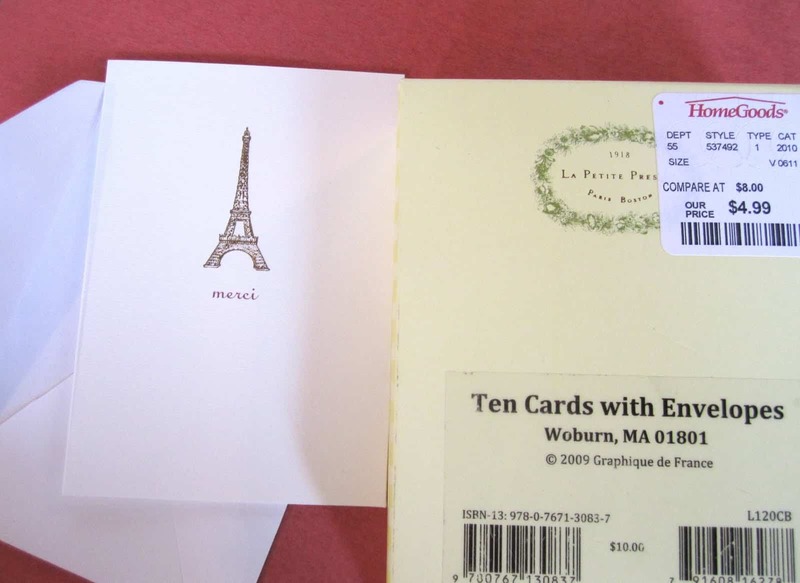 I have given the Eiffel Tower cards from Home Goods as a petit cadeau to every francophile friend I have… Lining them would have really made a lovely gift. What a fabulous idea! Your instructions are perfect so now I know what to send to 5 sisters, 2 daughters, and my mom! 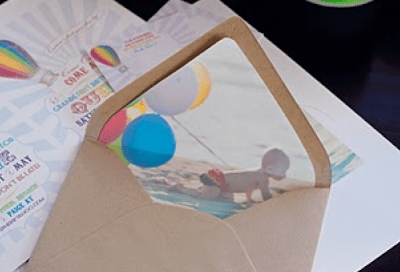 Amazing post, and I love it because I have been doing this for a few years…..it can add so much to an invite, card, etc…..and to do it through the stationary company is very expensive and with a little patience, a good paper cuter, glue and imagaination you can go from a basic card to something really fabulous! I used to make cards as a hobby and actually sold them for about a year to a few local stationary shops but it became overwhelming though it was loads of fun. Great tutorial here and I am bookmarking this for a future posts to ponder post of mine! This is a great idea! I am headed over to the Paper Source now. 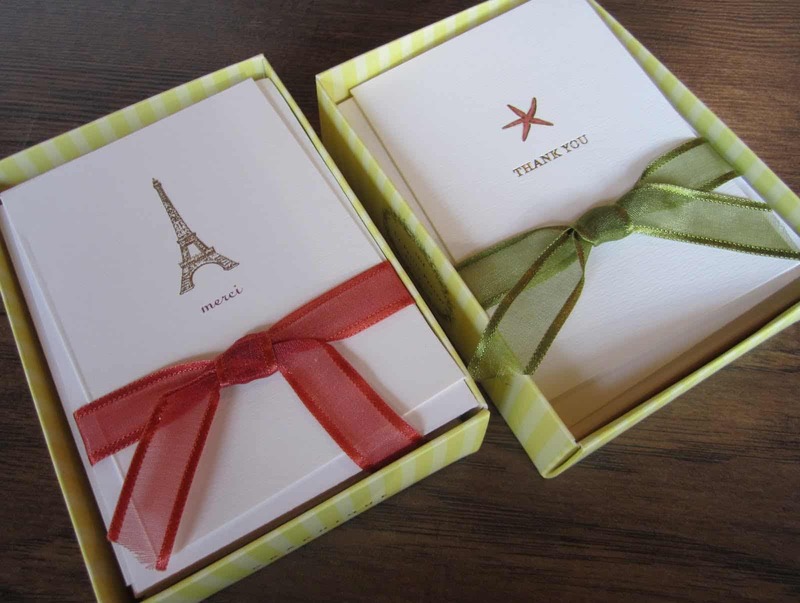 Nothing like a hand written note….I can not believe how you changed the look of those…..beautiful! Amazing idea! I tell you… I'm always learning something new with you! Thanks for sharing your knowledge with us. I really appreciate it. Thanks for sharing a new resource. I. Love. This!!!! Now this is a craft I would actually make and use! Thanks for posting. How crafty are you?! These look amazing!! I need these templates. I remember looking at them the last time I was in their store, but somehow didn't buy them. Thanks for the reminder! Love this idea–thanks for sharing; I will definitely be making these for myself and for gifts! These are so pretty, Mary Ann. What great gifts. oh! i love to turn ordinary gifts into something special and you did a wonderful job! love it! thanks for sharing! Love paper and I do love Paper Source too. 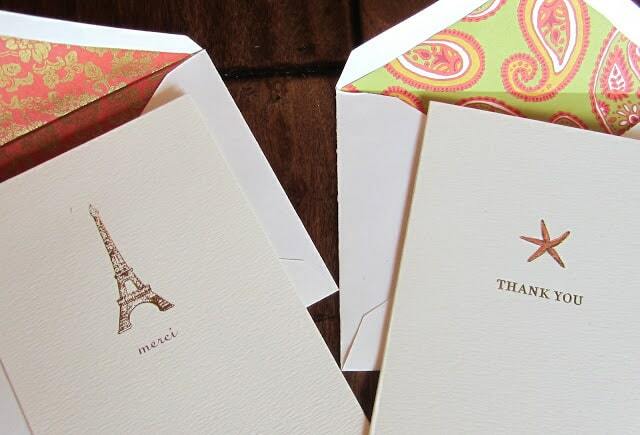 I've done many paper projects including rubber stamping my own holiday cards for many years. 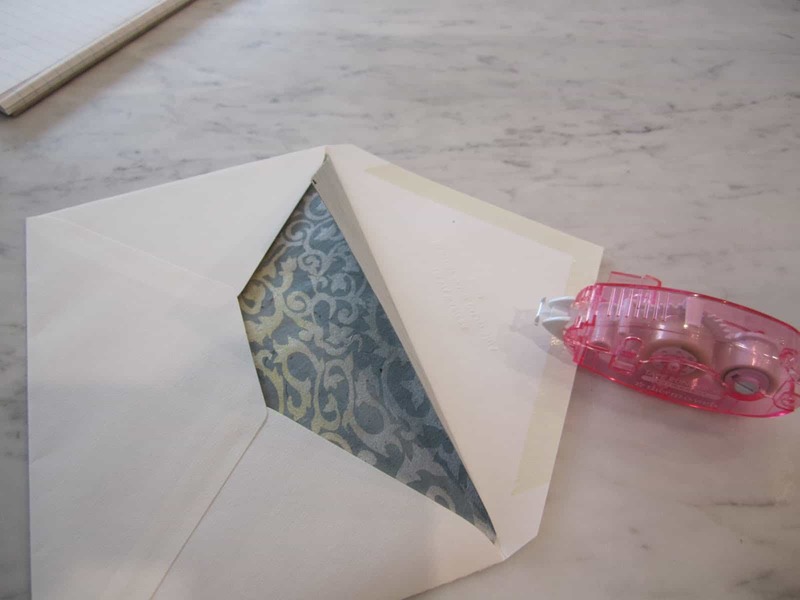 Love the tutorial on envelope liners. They really speak a special kind of language as gifts too. Great idea! I love receiving pretty things in the mail! It certainly doesn't happen often enough 🙂 Thanks for the tutorial on the liners! Mary Ann, So pretty! I am looking at invites as we are hosting my son's engagement party! I love all of these! Please stop by to pick up your award! Have a great day! I am not normally very crafty but perhaps I could manage this – I love the idea!! I am also a stationery nut and have a full library of personalized choices. So perhaps I could do this as a gift for one of the girls!! Such a great idea! Great idea! I never thought of lining envelopes with pretty papers before! Perhaps I can lined my cards in the future for occasions like birthdays or special announcements. You did a fabulous job, by the way! 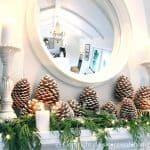 P/S: Come by and join my giveaway for a chance to win a $75 gift card from Arcadian Lighting! 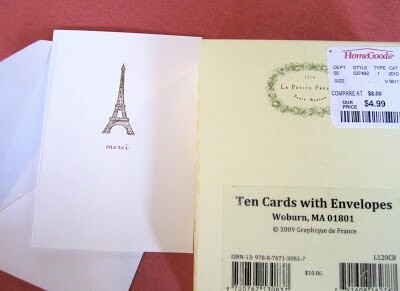 I had gotten away from sending cards. But writing history- I am finding the loveliest handwritten notes from a gentelman I know. Betweent the two of you- it is back to handwritten notes! 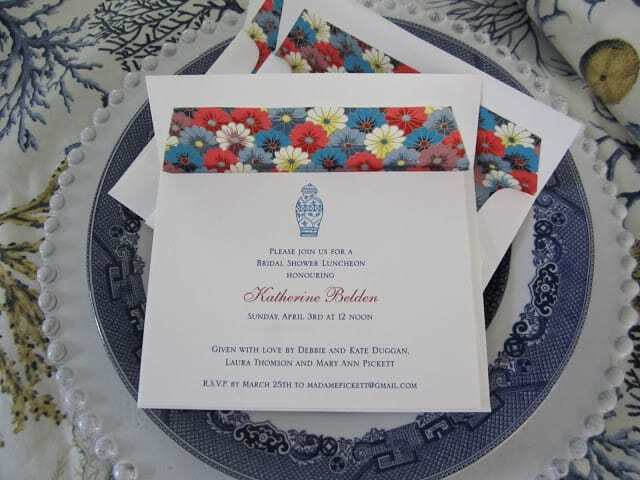 I love those little finishing touches that show that thought was put into the invitation. Love that paisley one. I love a handwritten note and there are so many to choose from out there. One of my favorite shops when I am traveling is a store that sells notes and pretty papers. you have some lovely examples here. Cute cards. What a great way to update them. 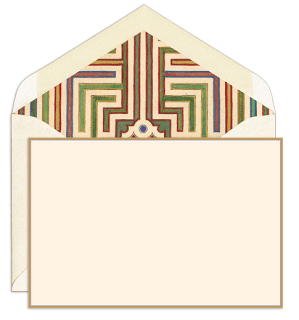 I'm thinking even odd scrapbook paper would work for individual envelopes. Love it, thanks for sharing. Really cute idea. I never thought to do that. And I love envelopes that have that extra bit of color on the inside. Thank you for sharing this great idea! my collection goes back since my high school days, and that was such a long time ago. Mary Ann!! I love the lined envelopes but even more, I loooooove your new blog design! It looks fantastic!! Very professional….nice job Elizabeth! Love this idea! 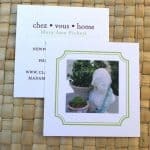 What a terrific, inexpensive way to make your notecards & invitations a little more special. Lined envelopes are so classy. I especially love the photo liner idea! Thanks for sharing.